Autumn is a time of wonderful and colorful contrasts that can be seen almost everywhere you look. 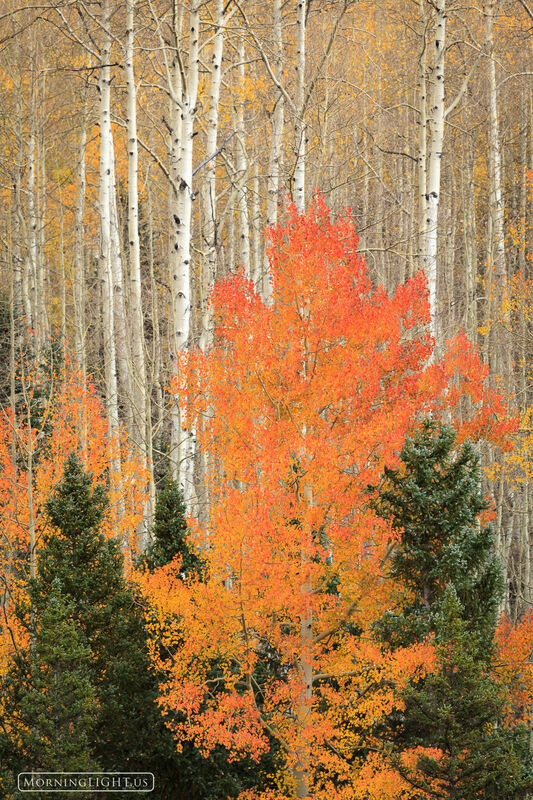 Here an aspen has taken on a wonderful orange hue that reminds me of a flame. Photo © copyright by Erik Stensland.